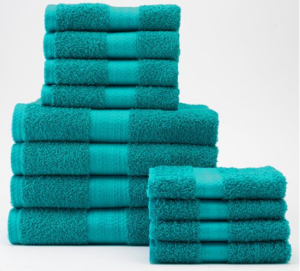 Kohl’s | The Big One 12 Piece Bath Towel Set only $21.69! I'm just loving this deal on The Big One 12-Piece Bath Towel Set – grab this for as low as $21.69 today! Makes each set as low as $21.69, Shipped! Check out all the hottest Kohl's Deals HERE!